← How to convert PCL to TIF and set color depth? 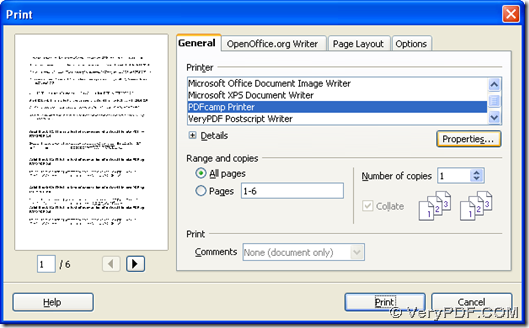 PDFcamp Printer can help you print ODT to PDF and send PDF by email to other people in Windows platforms. You can read the following paragraphs to know more. 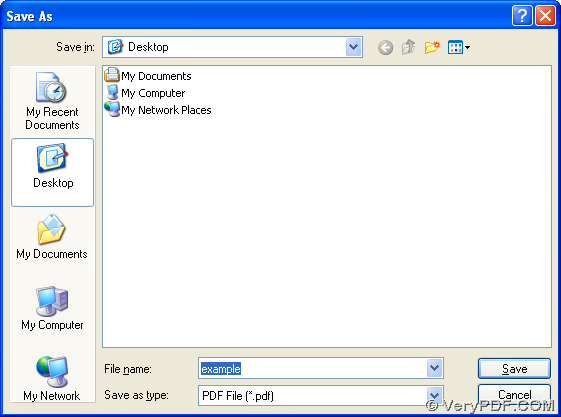 Double click the icon of your ODT file in your computer, then this ODT file can be opened on your screen. On print panel, please click “PDFcamp Printer” there for making PDFcamp Printer as your processing printer here. Then, please click “Properties” in order to get its panel. Then click “OK” on panel of properties in order to jump back to print panel. On print panel, if you want to edit other properties of PDF file or get copies of PDF file etc., you can click the related switches, radios or edit-boxes etc. in order to set them accordingly. 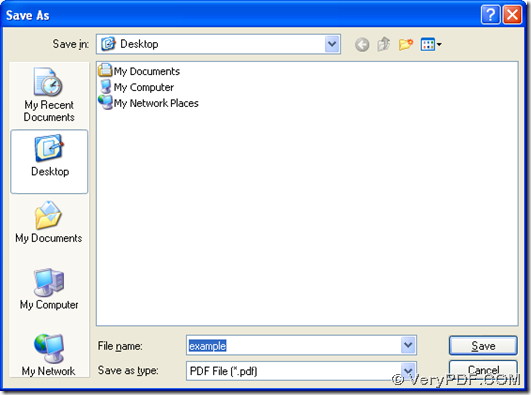 Finally, when all the basic work is done well, please click “print” on panel of print so that you can choose a folder to save PDF file with one click on “Save” and PDFcamp Printer can help you fulfill this mission, then your PDF file can be sent by email to other people. 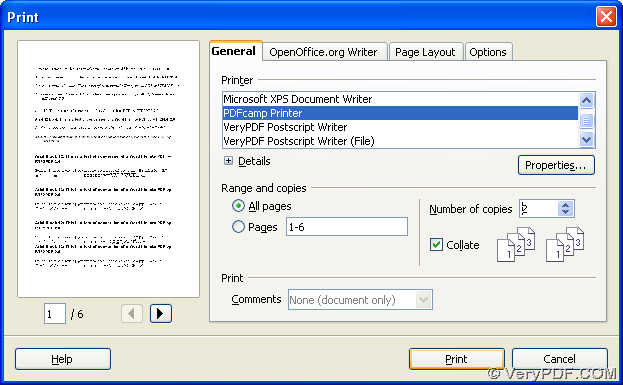 By now, if you want to experience this tool after the illustration to print ODT to PDF and send PDF by email to other people, you can click this link to download its installer and install PDFcamp Printer in your computer: http://www.verypdf.com/pdfcamp/pdfcamp_setup.exe. 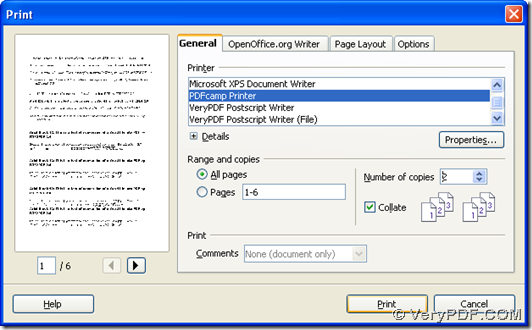 If you want to know more of PDFcamp Printer and buy it, please click the following links separately: http://www.verypdf.com/pdfcamp/pdfcamp.htm; http://www.verypdf.com/order_pdfcamp.html.